What is Stance on Dance? Who is Stance on Dance? Alito Alessi is the artistic director of DanceAbility® International and co-founder of DanceAbility®. 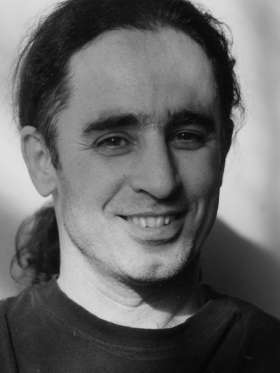 He is internationally known as a pioneering teacher and choreographer in the fields of contact improvisation, dance and disability. 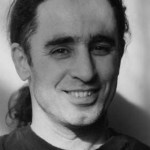 This is part one of a two-part interview, in which he discusses the methodology behind DanceAbility and its applications. I understand there is a DanceAbility teacher training program. What does being trained in DanceAbility entail? What applications can it be used toward? The teacher trainings happen all over the world. We’ve had 26 of them so far, and we’ve trained about 500 teachers in about 40 countries. I’m doing another training next month in Finland, I’ve just finished one in Texas last week, there’s one in Rome in September, and then next summer in Vienna. Probably between now and then there will be more. I usually do two to three training sessions a year in various countries. It’s a very specific methodology; there’s even a textbook for the information. The methodology includes teaching the highest level of improvisation simultaneously as you teach people who might not even know how to make a personal choice for themselves. The method studies sensation, relationship, time and design, which are four basic principles of improvisation involving deeper research into yourself, others, community and environment. Sensation entails your experience in the present moment. Relationship is the language of your body speaking to other persons. Time is how you learn to realize that every person who moves — or even breathes — has a particular sense of timing that’s true to the nature of themselves but not necessarily true to the time of a clock. Time is relative to each individual and not predetermined. If you’re able to research those elements in a community with people who are NOT able to research those elements and who may not even understand what I’m talking about, the people who understand are able to contain a space and frame a working environment where everybody is included and the highest-end-experiential people are able to deepen their research at the level that they’re at. So there’s a very specific method of how to transmit and educate people to be able to use this methodology with any population in any combination. Say you only have professional dancers with no apparent disabilities. You can work with them with the same method as you could work a group of extremely diverse orientations. Where people can go with the training is endless. Many go into universities, several people go to various studios or festivals that promote mixed abilities dance, you can integrate it into existing curriculums at institutions, there are people who use it at recreational and rehabilitation facilities, there are people who work with the military and returning vets, there are people who work in schools or with senior citizens… the application of the methodology is probably one of the most diverse dance methodologies that exists. 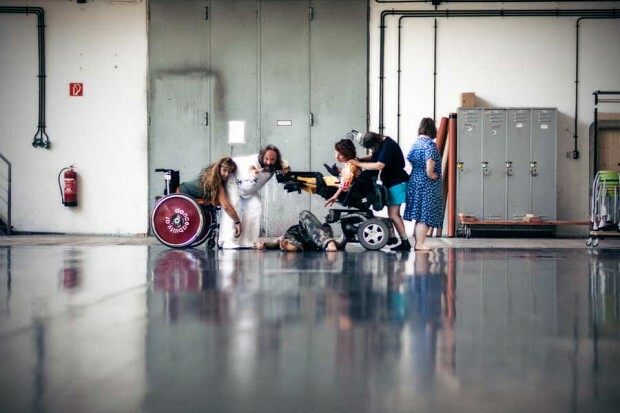 Most dance methodologies are aimed at an island of people, like Laban, modern or contemporary, which are all aimed at able-bodies, and they don’t have an application as broad as DanceAbility. With DanceAbility, whatever your particular desire, focus or interest in your own life, it can be applied. Whether you’re a dancer or not, or if you want to use it professionally or not, you can even practice it with you friends and family in really rich ways. The training — that which gives you the information you need to begin your own research — takes a month. It’s 160 hours of training, and in that time you get a basic foundation of the work. In the manual and text, you can go way beyond that foundation, but without knowing the foundation you can’t really apply the other materials. It’s like understanding the basics of any language. The method itself has been broken down to an extremely simple language. Once you have the foundation, you can meet and be prepared for any community or population. And then as your work continues and you stay in relation to other DanceAbility teachers or myself, your own research keeps unraveling over a long period of time. Can you tell me a little bit about how DanceAbility came about? What role did contact improvisation play in its development? In 1972, I was part of a dance collective who, at the time, were interested in a high level of physicality. This was around the same time contact improvisation began. We decided to get instruction in contact improvisation, so we invited some people to come work with our dance collective. Thus, my history in dance is deeply rooted in contact improvisation, and the beginning of DanceAbility started in trying to teach contact improvisation to mixed abilities groups. The philosophy of contemporary dance at that time was that all people could dance, but not many were really practicing that. It was the 70s, and there was this rhetoric that everyone can do everything. So we said, let’s see what happens if we really try to do what we all say we’re trying to do. 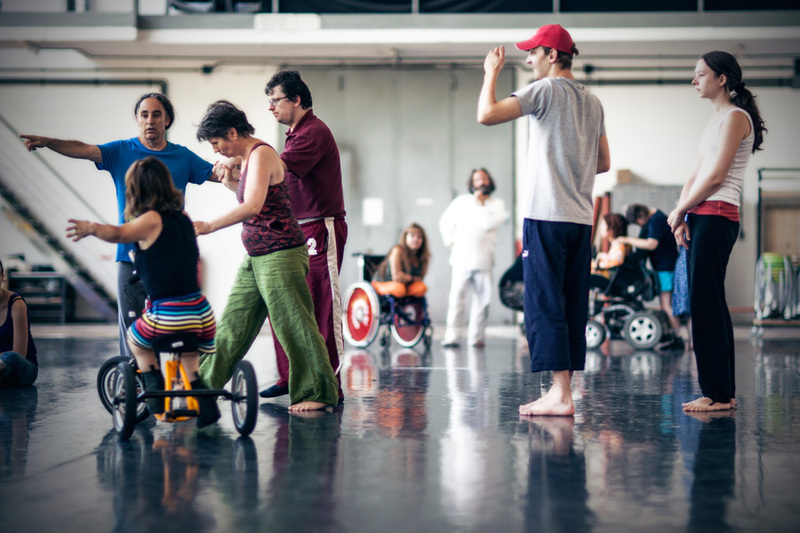 We were trying to teach contact improvisation to mixed abilities groups, and what we found early on was it really wasn’t available to every person. There were a lot of people in the room who were trying to do things we couldn’t really teach them to do. However, it was an open, collaborative and generous space, so it didn’t really matter, but afterward when I started thinking about it, I realized contact improvisation was NOT working because some people can’t do what we’re asking them to do. Just to give an example: every person cannot be touched or doesn’t want to be touched. So if you’re working with touch, what do you do with the people who can’t or don’t want to be touched? The specific problem then that contact improvisation was creating was isolation. It was separating people by their abilities: you can do this, you cannot do that. And that became the focal point of what is now called DanceAbility. It orients teaching dance in a way in which nobody is isolated. The whole methodology is based on eliminating isolation so that everybody can truly do everything. We’ve established what’s called the common denominator, and you read in a group what that common denominator is to ensure total inclusion. Everybody was saying dancing and contact improvisation was for everybody, but nobody had truly found a way to do that. DanceAbility became a way of correcting the problems that arose from trying to teach contact improvisation to anybody. We still do a lot of contact improvisation and practice a lot of physicality within DanceAbility, but DanceAbility is NOT contact improvisation. Rather, it grew out of contact improvisation and now includes, but is not specific to, that form. We were also interested in diversifying our movement vocabulary beyond what we were doing at the time, and we thought if we moved with people who moved differently than ourselves, we would have greater opportunities to improvise. Improvisation arises best when you don’t know what’s going to happen next and you find yourself in the present moment, listening to what and how the body wants to speak. We thought if we moved with people who moved differently, we would have a greater opportunity to educate ourselves. Those were the earliest motivating factors behind DanceAbility, and that’s what separated it from contact improvisation even though it grew out of it. The way you talk about DanceAbility remind me of some of the ideas behind Theatre of the Oppressed. Many people have noted that Theatre of the Oppressed and my work are similar, and they are in a way. There’s a service orientation, commitment to artistic quality, and total inclusion and value of each human being and what they have to offer in any situation. That’s the baseline philosophy in DanceAbility: all learning is vice versa. In any learning situation, each person is learning as much as each other, even if you have someone in your class with whom you have no way of evaluating what they’re learning. For example, I have people in my classes whose parents bring them and they’re basically comatose. You have absolutely no way to read anything about their existence in the present moment. Nothing. Yet, they’re in the dance class, and the value is taken in relationship to their community. In this case, it’s their family. If the mother and father are happy the daughter is being involved in a social setting, it helps the child as well. You don’t always need to understand how your teaching is affecting an individual if you can see how it’s affecting their community. One of the problems with DanceAbility is not enough people know about it. The method is really sophisticated, but taught in a really simple language. It can take you as far as you want to go while keeping you in the foundation of technique, improvisation and deepening your own personal research. It works like a kaleidoscope; the longer you’re involved, the more possibilities you can manifest. But you have to develop it in order to attain that kaleidoscope effect. It takes time, like learning a language. First it’s functional, and then you become a poet based on how you can reconfigure the language. And the language gets reconfigured naturally based on the people who are present. That’s what’s exciting about it. We always say in DanceAbility: “You liberate yourself, and that liberates people around you.” You bring everything you have, always, and share it. That’s your responsibility. Enter your email address to receive new articles by email. or buy it on Amazon!